Program Planning Section outlines events and activities of the organization. A successful program plan provides direction and shows how each activity supports our organizational mission. The division anchors all programs and planning of SAFE, in involvement and coordination of members concerned in specific areas. It focuses and plans organizations resources on activities, and provides a way to increase member contribution and involvement. The division is led by Director-Programs, with Chief Program Coordinator, and Program Coordinators and substantial contribution is made by members to frame the final project or programs planning. Community Outreach section is an extended division under programs and outreach team are mainly present in all project/program site areas of SAFE. The outreach team transcends the plans in implementation with specialized teams. There are Coordinators: Community Outreach mainly working under Program coordinators. 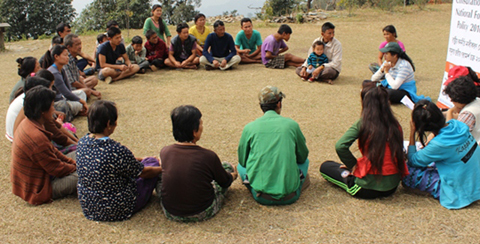 Every member in SAFE is a part of Community Outreach activities, coordinated by the Programs division, this helps in building partnership with community, creates year long opportunities to engage in sustained activities that enhance quality of life and ensures care for the ecosystem services. 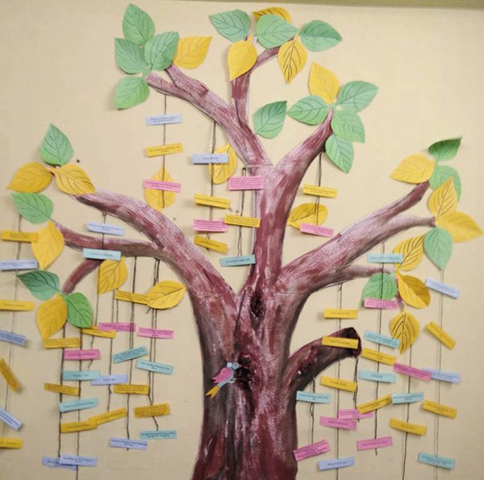 A member contributes with specialized expertise to transcend the sustainable goals vision into reality through a participatory approach, and this builds stronger partnership with communities across South Asian countries. The Communication Section formulates strategies and works in all channels to support the substantive goals of the organization. The Division develops specialized model of community communication for wider outreach and active participation of communities. Based on communication priorities and planning for the year, the division reaches out to global target audience through web media portals. The section manages documentation work, publication of reports, along with designs, video documentaries, graphics etc. The team comprises Director: Communication, Graphic designers, Video production experts, communication officer and webmaster. Admin & HR supports the organizational level human resource management and perform multiple tasks of manpower recruitment, training, team building exercises. This division is responsible for designing work allotments, monitoring review-feedback. from members. The Chief Admin Officer is responsible for day to day operations of all HR personnel administrative matters guided by the organizational policies, along with effective coordination with all departments and team. The section includes, Logistics under its preview with Admin-logistic officers, that takes care of travel arrangements, event management and procurements related work. The Research and Planning division of SAFE is devoted for action research work, and intricately designs piloting or field testing of ideas or innovations in both urban and rural space. This covers the interventions areas of SAFE, in climate resilient agriculture, renewable energy for WASH solutions, sustainable solutions of alternative livelihood, ecosystem service matrix, and scientific research work in biodiversity indexing, vulnerability mapping of ecologically sensitive zones. The division carries out consultation services for the organization and prepares survey methods and tools. This section is headed by Chair, SAFE, with team of scientific officers. The finance section is the central tenet of the organization, for managing funds, and planning for the expenditure of funds for the organizational commitments to goal. This division ensures efficient financial management and planning to support all activities. The Finance team contributes in financial and accounting, audit processes and maintenance of book. In this function, the Finance officers works with concerned sections to prepare organizational budget and gives feedback with regards to the financial standing of the current year, on which further recruitment plans, asset purchase and admin-over head costs and expenses are planned for long term and short-term possibility. Welfare committee of SAFE combines members from all sections, making the team strength as a cohesive community within the organization to nurture an innovative culture. The committee helps organize internal training programs, exposure visits, major events like SAFE Foundation Day, and Annual excursion. The committee holds additional voluntary responsibility of extending health related support by organizing health camps, fitness workshops etc. The Procurement Committee is established to ensure consistent and correct application of procurement practices, including handling Tendor submissions, quality of product/service and subsequently the research involved. The Procurement meets monthly to manage the purchasing programs related to projects and programs. The purpose of Disciplinary Committee is set to set forth the organization’s discipline, code of conduct, and making the work ambience healthy and conducive for work in all aspects. Each person at workplace has basic rights, including right to privacy, fair opportunity and freedom from discrimination. Organization stands for zero tolerance to abuse or harassment, and all members are committed to adhere to ensure the basic human rights and respect of an individual.